For better or worse, we all spend vast amounts of time on our phones in the modern world – whether that be working, playing, editing photos of our little ones or catching up on Facebook gossip. Our phones have become a palm-sized electronic extension of us and I know I’d feel a little lost without mine. It helps to keep me organised in day to day life, especially with the calendar and to do list functions. I work, I parent & I blog so keeping track of family appointments and nights out alongside all of that can be really challenging, particularly at the moment during school holidays when there are so many children’s events to keep track of. So when I found out about Droppa I was very interested to try it out. In basic terms Droppa is a calendar app however it is actually so much more and I’ve really enjoyed trying out all the different features. My phone calendar is great for creating reminders just for me but Droppa enables you to share your diary with your husband and children, and even friends and extended family too! 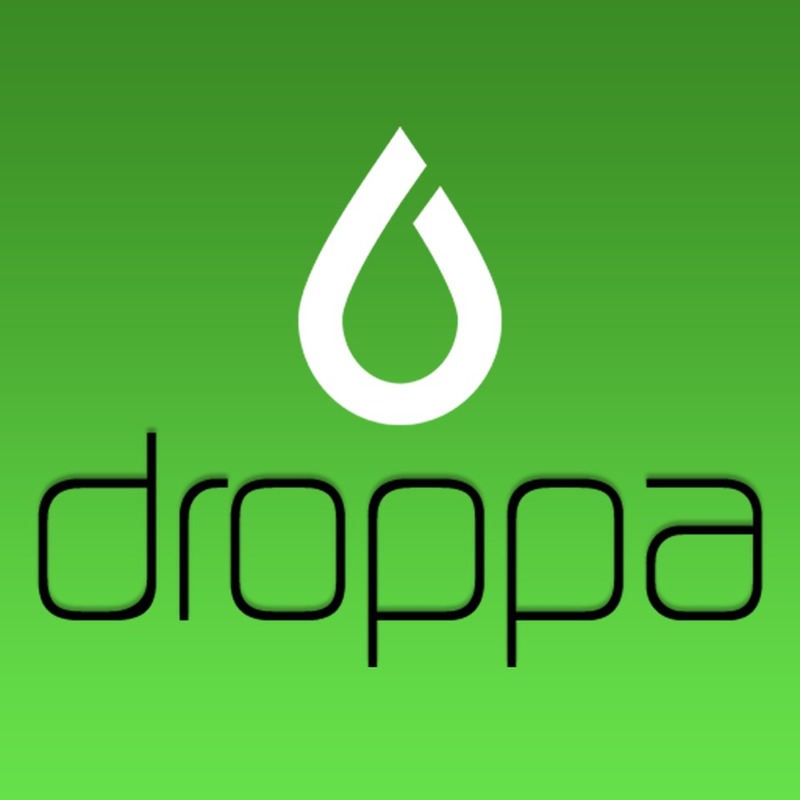 Any one of your phone contacts can download the Droppa app and instantly be able to “drop” events and information into your calendar, and vice versa. And just like other calendar requests you can decide whether to accept or decline the invitations. In contrast to complicated email scheduler software I’ve used in the past, Droppa operates using push notifications on your phones, so you don’t even need the email addresses of the people you’re scheduling with, just their phone numbers. Droppa was invented by two dads who realised that, whilst using a traditional calendar, they were occasionally forgetting appointments and it would be a great idea to have a family calendar that you could have with you at all times, and was interactive with the whole family. They soon realised that most people don’t interact via email outside of work hours and in fact correspond most often using text or instant messenger. 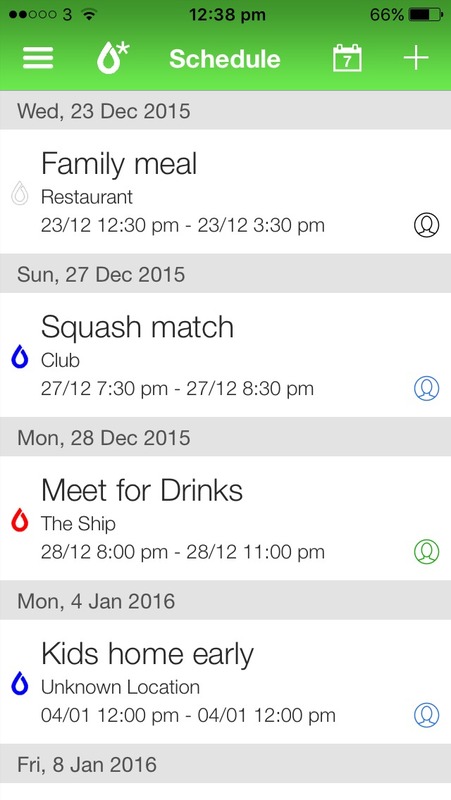 Droppa is a way of combining the simplicity of instant message with the traditional family calendar. 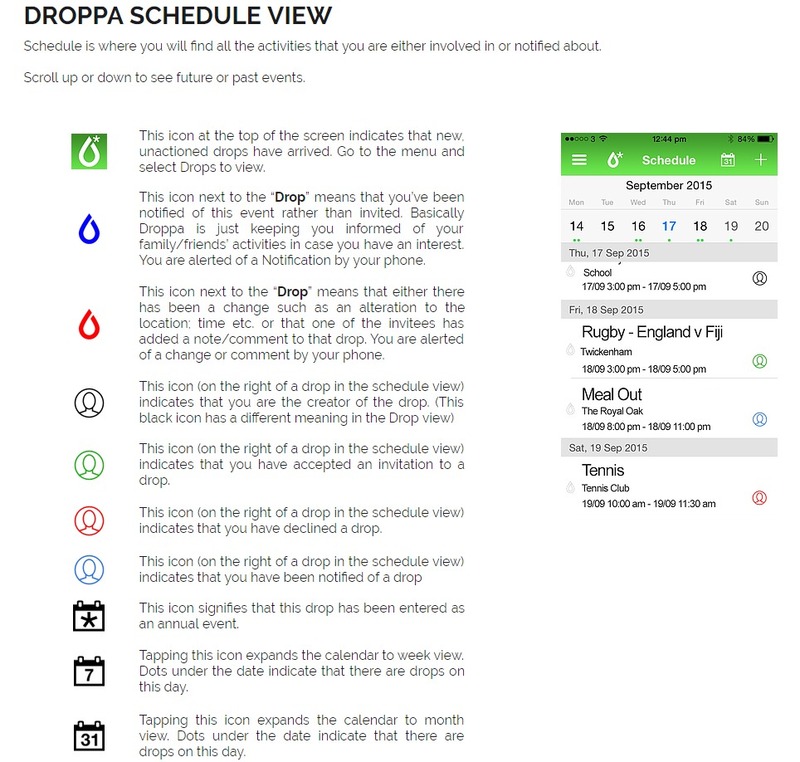 Droppa can be used just as your own personal scheduler too of course, but I think the real beauty of it lies in the fact that it interacts with other people and allows you to securely share information with anyone you wish. Any many more, I can even see potential for Droppa in the working environment. Completely safe & secure for kids to use – no more excuses that your teens didn’t know where they were supposed to be! Droppa’s website contains lots of really useful How Tos to help you get to grips with the system initially. They are very simple and easy to follow, I’ve admitted before I’m not really very ‘techy’ but truthfully if you’ve ever used an instant messenger and a calendar then you’ll have no problems at all! I’m personally a huge fan of using Whats App to chat to friends and make arrangements and I see Droppa as the next step up – a way of organising diary events alongside the simplicity of group chat. Droppa was even recently awarded the Mumsnet Award for Best Family App. 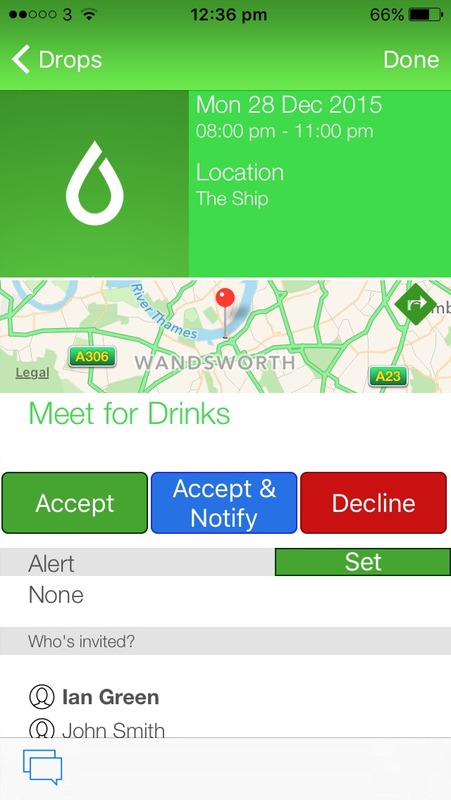 Droppa is available on both Apple and Android and is completely free to download for the first year. After 12 months you will be asked to pay a small subscription fee of only £1 per year. If you have a large family, complex working schedules or busy social lives and clubs then Droppa is definitely worth a try. For more information visit www.droppa-scheduler.com or find them on Facebook or Twitter. Right up my street! I’l always looking to try out new apps – Especially anything that can help me become more organised! Droppa has been downloaded on both phones and will be straight on the wife’s and kid’s too! Great post – Very detailed – Informative – Thanks!! I love the sound of this app! We are using a paper based planner at the moment and it’s not working brilliantly as we often forget to add something or other. I think I will definitely be downloading the app before the new school year starts. Wow, that sounds really useful and affordable. I’m so forgetful, shall have to check it out! This is genius. I need this asap. I keep sending my boyfriend calendar invites from my work email, he accepts them but then they don’t show up on his phone so he forgets instantly. Thanks for the lovely review and sharing with #StayClassyMama! Hope you are enjoying Droppa. Please have a look at the “How to’s” @ http://www.droppa-scheduler.com Here you can find out how to invite others to your Droppa network. Sounds fab. I hate to admit it but there have been times weve gotten appointments mixed up and forgotten a training session. I might have to download this and give it a go. I’m def gonna give this a go.